Last year Something Human closed the year with MOVE W I T H (OUT)’s stopover in Budapest. Artist photographer Zsuzsa Bakonyi was invited to respond to the themes of the nomadic project with a new site-specific live art intervention, in dialogue with her practice as a photographer for whom Budapest has been a main subject for years. Here, we catch up with Zsuzsa after MOVE W I T H (OUT)#7 Budapest. 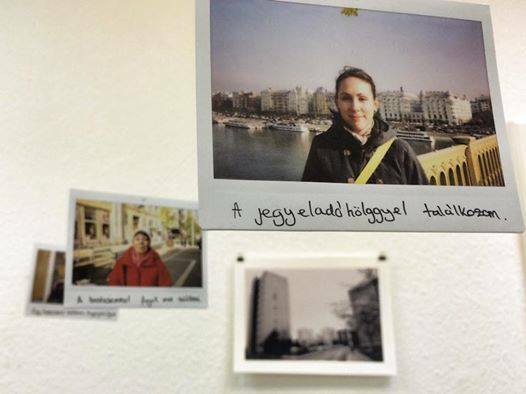 Something Human: As a photographer you took to the streets of Budapest over several years, which resulted in the series, ‘Listen to Budapest!’ Could you please tell us more about why you decided to make that series, and how you came to select the places and moments? Zsuzsa Bakonyi: Actually, it was a very instinctive process. Budapest is a very photogenic city, but to me, Budapest is mostly about emotions, nostalgia and melancholy. It is a city with which if you connect once, you will never forget its feeling. I had been taking photos of Budapest for many years, and I put this series together after I had moved back from Italy. I was lucky enough to live in a wonderful flat close to the river. I have lived in Budapest most of my life. In retrospective, this period was very special: I was reconnecting with the city, trying to reconstruct my identity after moving back and it was the first time I could experience the majestic Duna (Danube in Hungarian) on a daily basis. The Duna is an incredible river and it is impossible to imagine Budapest without it. It is impossible to imagine any city without its lake, river, or seaside. To me this series is about my personal relationship with the city. It is probably impossible to relate to a city without thinking about memories and people, but I do believe that there is also a kind of ‘pure’ connection which concerns only the individual person and the city. Something Human: In response to the MOVE W I T H (OUT) project, you conceived the photographic performative intervention, “4/6” – how do you relate your 2014 live photographic intervention ‘4/6’ within your trajectory as an artist? Zsuzsa Bakonyi: Each new project makes you understand more about your trajectory, that is very exciting to me. I like to reflect on what I consider to be social or emotional tension, like in this case, the fragmented social landscape; people are not only indifferent but rather suspicious of each other. 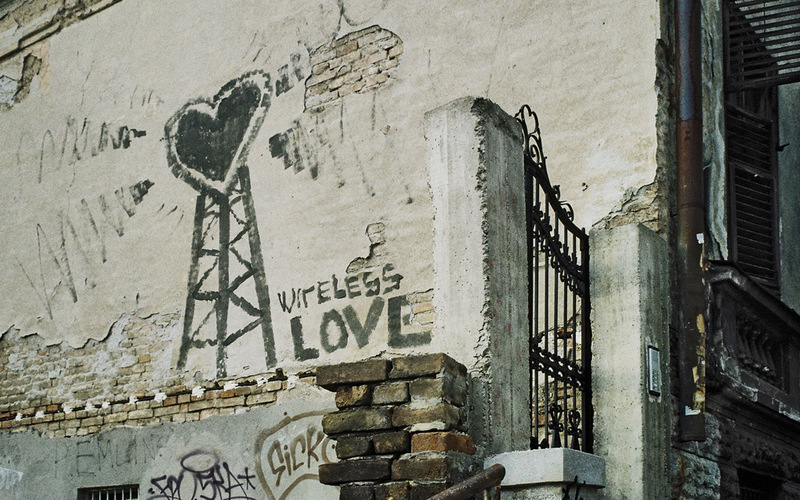 I also see it as a development of connections: connecting Budapest with an international project, connecting my photographic practice with live art, connecting the subjects involved in the project, and me personally being able to connect more with the city. Something Human: With MOVE W I T H (OUT) you experimented with an instant print photo system and the performative for the first time. What developments do you envision within your practice from this first encounter? Zsuzsa Bakonyi: I have experimented with performance, and mixing photography with performance before but this was the first real live intervention project I carried out. It was a very positive and fruitful experience. Photography, concerning the end product, is not typically very interactive, whereas a live intervention is a process where the control is not fully, or not at all, in the artist’s hand. It is an extended version of being in the process of photographing a subject – we never have total control and to me this is very intriguing. In a live art intervention, you stay in this present state, letting go of control, just staying focused on your initial intention and doing what you have to do. Something Human: In ‘MOVE W I T H (OUT) Budapest – 4/6’ you engaged passers-by to participate in your creation of a new narrative, along the route of the main Budapest tramway. Why did you decide to focus on this route? How did this experience change your perception of people and your city, and what do you hope the participants take in their experience with them? Zsuzsa Bakonyi: While preparing the project, I came to realize how much the route (the Grand Boulevard of Budapest) we walked has recurred in several projects I did in Budapest, and it serves as a point of inspiration to me. It is the route with the most point of references, from where you would get oriented – everything inside is centre, and the outside is already beyond the city centre. It is also almost a circle, considering its shape. It is a democratic route as everyone uses almost daily if you have to do ‘stuff’ in the city. It would appear its character is on a decline. You can feel its glamorous past when the idea of this boulevard was first coined, since then, many signs of its communist past are also present, and lately it has been polluted with cheap bars and shops, transforming almost monthly. It is now quite ugly but I find its eclectic ugliness very inspiring. My perception of the city did not change drastically with the project, but there were a few moments of note. I had expected it to be more difficult to involve people. I remember a part of the route between Király utca and Blaha Lujza tér, where people were very much in a ‘rush’ and probably thought I was asking money from them, so they gave me strange looks when I was approached them. There was a weird energy there. I was fascinated how magically the fictional encounters evolved, for example, when I had to stop a ‘mother’ as a next subject, and I stopped a woman who then when viewing the previous photo, said that her son was the same age as the previous subject! I think people can take away with them those few minutes they stopped to be with me, and stepped out of their routine, and they had to think about their daily encounters. In Hungary, people tend to be very closed and suspicious with strangers, so I believe I could create the good energy of real and fictional encounters. Something Human: Following the pop-up exhibition, your images will become a work that forms part of the MOVE W I TH (OUT) travelling exhibition. What do you hope this work will bring to audiences in future cities? Zsuzsa Bakonyi: Given that the photos contain a story of fictional encounters and instant portraits of the places and people, I hope the fictional encounters can continue everywhere where the trunk opens. Encounters and connecting are very important stimuli in life. Something Human: This year has been a busy one for you, especially in the last few months with MOVE W I T H (OUT) and your photography project in New York, as part of the programme of FFS, Studio of Young Photographers Hungary. What does the 2015 have in store for you? Zsuzsa Bakonyi: I started the year with a very relaxed pace and actually, for the moment there is not much happening yet for 2015. It is a empty canvas. We are presenting an artist book about the New York project in January, and the exhibition will be travelling throughout the States. I would also like to finish my long term project with a homeless couple, and spend a few months abroad on a residency program. MOVE W I T H (OUT) is a travelling project curated by Something Human, a London-based curatorial partnership, that questions the notions of “home”. Addressing an increasingly unstable global economic landscape, the exhibition and site-specific live art intervention explores the ambivalent relationship between interior and exterior that plays out over issues such as identity, borders and migration, belonging and longing, and the tensions of navigating between these different spheres. Why did you decide to bring MOVE W I T H (OUT) to Venice and Singapore? Alessandra Cianetti: The MOVE W I T H (OUT) project was brought to Venice and Singapore when the cities were hosting their individual biennales, therefore in two topical moments of self-reflection for both the islands and the art world. We wanted the project to address themes such as identity and migration in two cities that resemble each other in terms of geography and importance in the art system. One is the centre of the most ancient and established Biennale, while the other is a rising star in the international discussion on both contemporary and South East Asian art. Moreover, as individuals, we have personal bonds with the two cities: bringing MW there was at the same time a curatorial and a personal exploration. Something Human: How did you come to get involved with the MOVE W I T H (OUT) project and what were your initial reactions when you first heard about it? Malvina Tan: I was invited by Something Human to be part of the MOVE W I T H (OUT) project. I remember receiving an invitation from Something Human and was really happy because I had such a lovely experience working with them for FRESHLY PACKED, I was extremely satisfied with the outcome of the performance art piece which I managed to present at Deptford Lounge, London. Hence, given the opportunity to work on another project, I had no doubts about it. I was intrigued by the whole idea about a traveling exhibition, and also the themes that were being explored for this project. 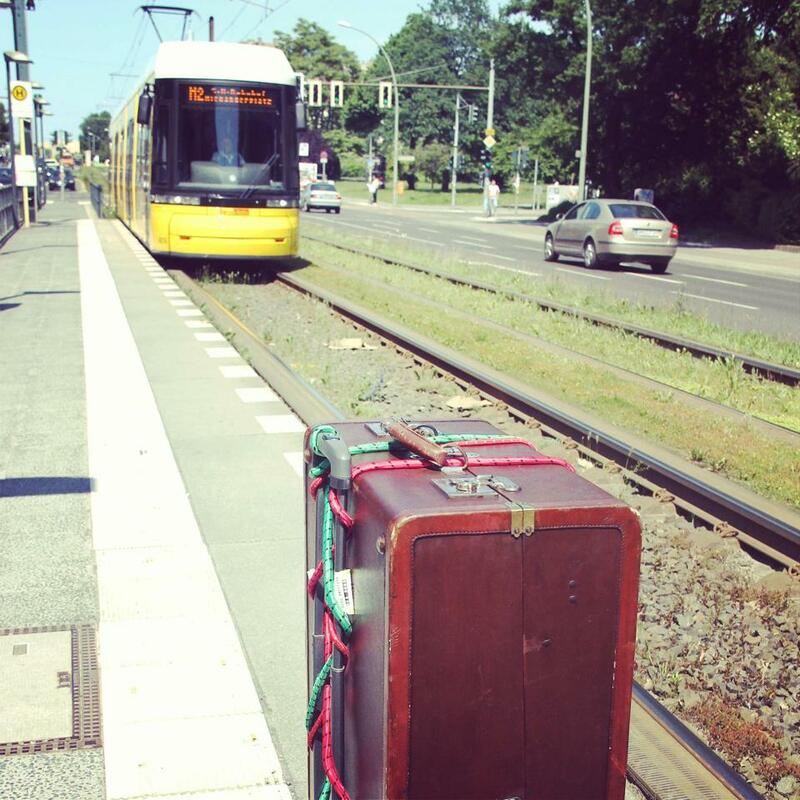 Particularly, I was especially excited when I found out that the project involved a traveling trunk, the idea that I could interact and experience art works by other artists from other countries whom I have never met before, and also, the fact that we have never met before but yet still able to be part of a collective project, was just rather mind blowing. Something Human: What connections did you make with the themes and issues raised by the project, and how did you come up with your performance idea? Malvina Tan: When I thought about the idea of movement and traveling, I immediately thought about the prevalent issue about a sudden influx of foreigners in Singapore today. There are so many stories and debates about Singaporeans experiencing difficulty trying to adapt to the idea of “strangers invading their territory”. I then started to question the idea behind territory, adaptation, and the how one feels the need to call a place a home, the definition behind a home to a particular individual; basically, what is so desirable about a particular place, that one would consider permanent residency. Also, I thought about the response of Singaporeans towards the foreigners, and why they should be considered foreigners. Should we actually feel privileged that we have authority over our apparent territory in Singapore? Is Singapore really a territory that we have ownership over, and how much of our territory defines us? What then is a home, how can we each place a definition on the term “home”. Is it wrong that foreigners in Singapore consider Singapore their home; do we really have the right to exclude their desire? After its stopovers in Berlin, London, Rome, Venice and Belgrade, the nomadic project Move W I T H (OUT) continues eastwards across the globe to the island state of Singapore. On Saturday 18th January, from 11am to 6pm, utilizing various old and new forms of transport to reflect the Singapore’s transition from fishing port to state of the art metropolis, the trunk will be carried along a route starting from a jetty on Kallang River. Accompanied by local live artist, Malvina Tan as Citizen Of, this journey traces the paths of old migrants arriving from the Singapore River, marks out historical and cultural spaces around The Arts House, to Sculpture Square on Middle Road, past historic Arab Street, to arrive at Aliwal Arts Centre for the Urban Art Party, in conjunction with Art Week 2014. 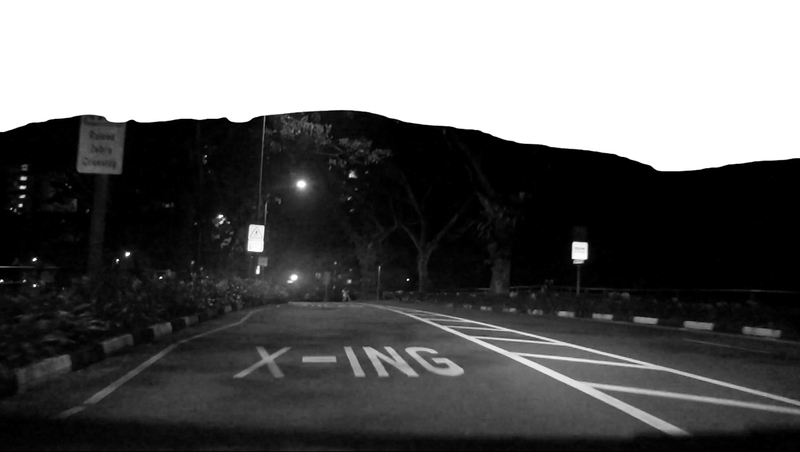 Citizen Of, is a new live work created in response to MOVE W I T H (OUT), where performance artist becomes sociologist-cartographer, seeking and obtaining the routes of everyday Singaporeans to create a work that traces and also questions our sense of territoriality. 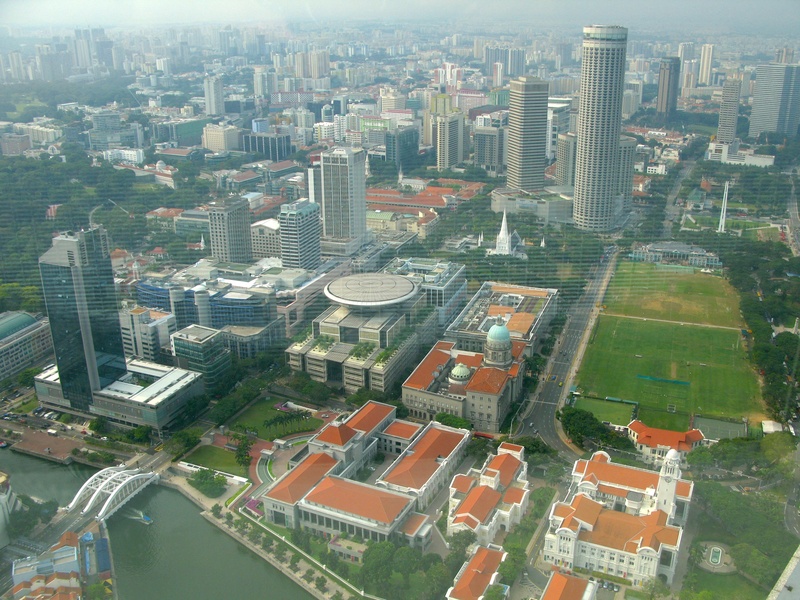 “Issues of who belongs, are becoming more significant in Singapore. Many Singaporeans often assume other people are intruding into our territory. Yet at the same time, how much does that sense of territory defines us? Should we feel privileged that we have authority over an apparent ownership of that territory? For more information on where to catch the trunk and performances, see here. Something Human: MOVE MOVE W I T H (OUT) and you. How does the project relate to your practice? Ana Rodić: From the beginning of the collaboation, every key word about this project made me feel like I belonged to it. And when you feel like you belong to an artistic community and you share their ideas, it is not so hard to contribute and give something from yourself to it. So the key concept of “sharing” was something that stayed on my mind, and I felt the need to share as well this kick I got from the people gathered around the MOVE WITH(OUT) project. 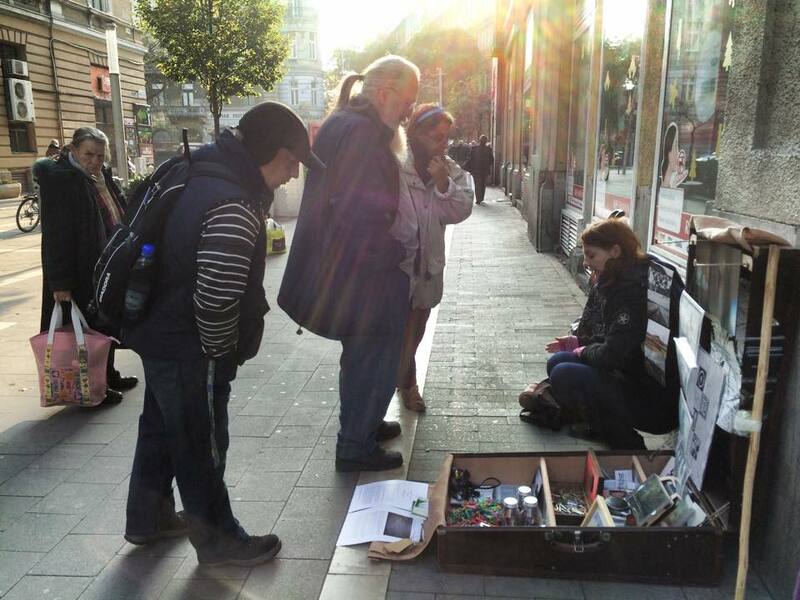 So I shared it, spread it, and did it loudly on both spaces – the internet where where I first connected with the project and the community, and then on the streets of Belgrade where we walked together with the trunk full of artworks collected from the different cities where the trunk has stopped. Something Human: MOVE W I T H (OUT) and Belgrade. How did the audience respond to the project? Ana Rodić: On the streets, passersby were shy, a little scared and wanted to avoid any communication with something new and strange. At the market, everybody was open, but reluctant to participate directly in the project. The audience at the Remont gallery were, on the other hand, very engaged, asking many questions about the trunk and the works in it. This says, in my opinion, that the people in Belgrade need what’s happening at the Remont! #5 MOVE W I T H (OUT) moves towards the eastern European capital of Serbia for its next showing. 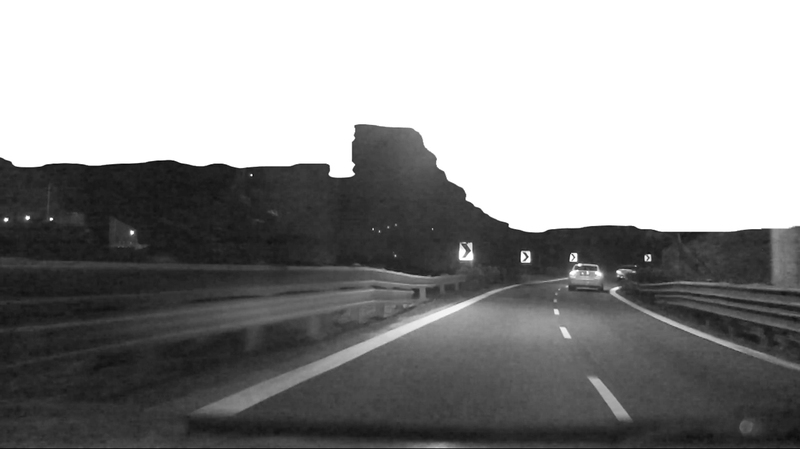 Here, Belgrade-born artist, Ana Rodić presents ‘CITY nomad WI FI open AURA Foursquare on me’ a performative intervention into the trunk’s travels within the city. 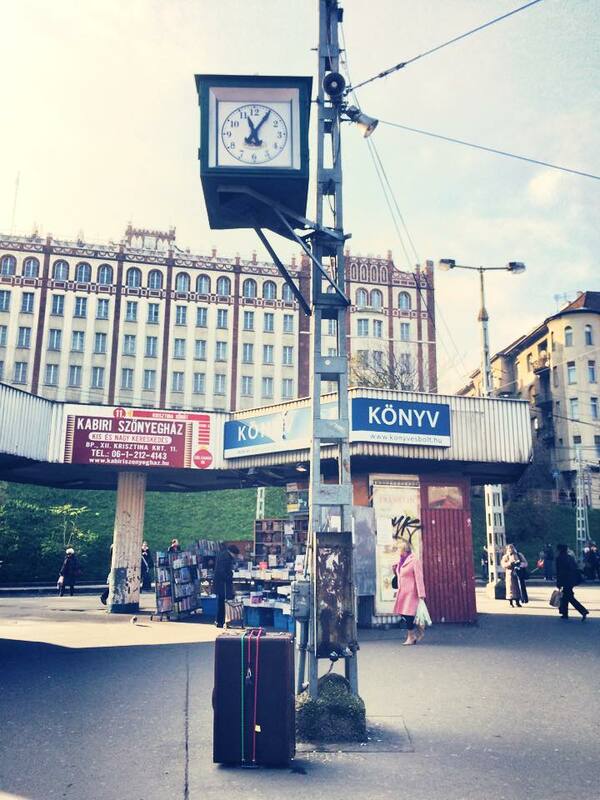 On Saturday 30th November, from midday to 6pm, Ana will transform herself in a nomadic totem providing local free wi-fi while crossing physical spaces of significance for people that live in Belgrade from the main Railway Station to Remont Gallery. During her performance, Ana invites passers-by to join her ‘aura’ – creating a space of communication both online and offline as a mean to generate temporary communities. ‘CITY nomad WI FI open AURA Foursquare on me’ is a reflection on the nomadic condition we also experience even when not leaving our home cities. In Ana’s work, itinerant dimensions of online platforms become a way to create new international groups and to cross borders while the physical passage through Belgrade’s streets is a tool to create temporary bonds on material spaces as well. Is it possible to call yourself a city nomad even if you only live in your (birth place) own city? Or do you have to move, or wait for those who are moving, to refresh and update you? Today’s city nomads are circulating through the sea, through the air – by driving, walking, taking trains and other forms of commute – we are uncompromisingly asked by the world to feel that Earth is home, and that we all come from one same place. MOVE W I T H (OUT) traveled to Italy during the final weekend of the Venice Biennale and visited the 3D Gallery in Mestre and the Officina delle Zattere in Venice. At both spaces, two live art interventions, collectively titled “Play in Two Acts – The Justice” were presented in conjunction with the trunk project. ShakinArt presented the first live art intervention at 3D Gallery. The artists, Jonathan De Checchi and Marco Zocca JeanPierre share their thoughts on their experience with us here. Something Human: The project MOVE W I T H (OUT) Venice was presented during your performance at the 3D Gallery in Mestre. How do the themes explored by the trunk project (travel, migration, crossing boundaries) relate to your practice? ShakinArt: The notions of ‘travel’ symbolised by the trunk, represent the basis of our artistic research. We both share an innate passion for travelling, towards which we dedicated extensive periods of our lives. If we had to identify one of the sources of inspiration for our practice, we would definitely find it in the experiences we had abroad where the exchanges we have with other cultures, show us quite clearly the limits of our vision.